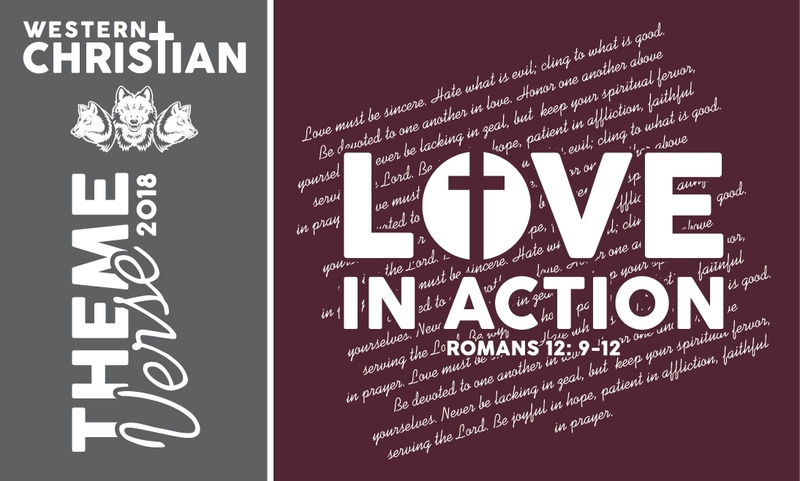 Western Christian 2018-2019 Theme Verse shirts are now available. The web store will close at 11:59 p.m. on Monday, December 3, 2018. At check out choose LOCAL PICK UP to have the order delivered directly to Western Christian High School. If you choose the $8.99 shipping option your order will ship directly to your home. Order forms are also available through the school. If you have any questions please contact Lisa at Get Branded 360, 712-546-4911 or lisa@getbranded360.com.